1.SUPER SOFT & COMFORTABLE - Silk ruffle petal flower leis, soft materials so you can wear your hawaiian neck piece all night long! 2.COLORFUL - Comes in an assortment of mixed tropical island colors. 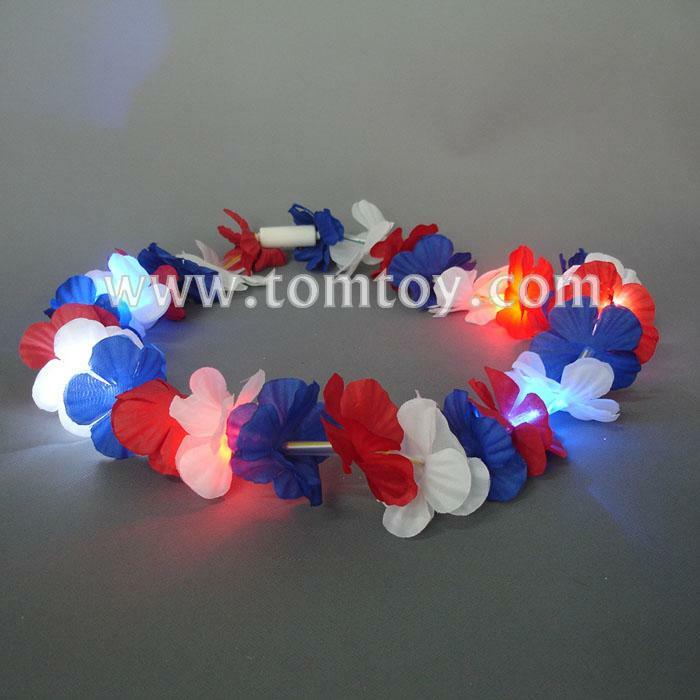 9 pairs of each Blue,Red and White Leis. 3.TROPICAL ISLAND NECKLACES - These colorful silk ruffle flower petal necklaces are perfect for 4TH OF JULY ! 4.ONE SIZE FITS MOST - Leis measure approximately 39" inches in diameter, perfect for both adults and children alike.